Education: Ph.D., Biological Systems Engineering, University of Wisconsin-Madison, 2004. Research Interests: Bioprocessing of food and non-food materials, Structure-function Properties of Proteins and other Biopolymers, Fermentation and Enzyme application. 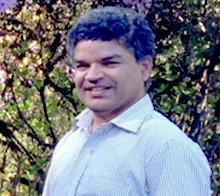 Dr. Buddhi Lamsal, PhD, PE, is an Associate Professor of Food Processing at the Department of Food Science and Human Nutrition at Iowa State University. He holds degrees in Agricultural Engineering (BS- Tamil Nadu Agricultural University, India; PhD- University of Wisconsin-Madison) and Post-Harvest Technology (MS- Asian Institute of Technology, Thailand). He holds a Professional License in Agricultural Engineering in Iowa since 2009. He worked as a post-doctoral research associate (2004-2006) at Iowa State University and Research Assistant Professor (2006-2008) at Kansas State University prior to joining Iowa State University as Assistant Professor in August of 2008. Dr. Lamsal's research program utilizes bioprocessing tools (mainly fermentation and enzyme technology) in producing biochemicals, biofuels and biobased products. Plant and dairy protein extraction, separation and modification for specific food and industrial uses, and ingredient characterization for food application are also part of his research program. Dr. Lamsal has published 60 peer-reviewed papers, 6 book chapters, and 2 edited books. Dr. Lamsal is an active member of various national scientific societies (IFT, AACCI, AOCS, and ASABE). He is currently the Chair of Protein and Co-Products Division of AOCS, and served as the Chair of Engineering and Processing Division of AACC International during 2012-2013. 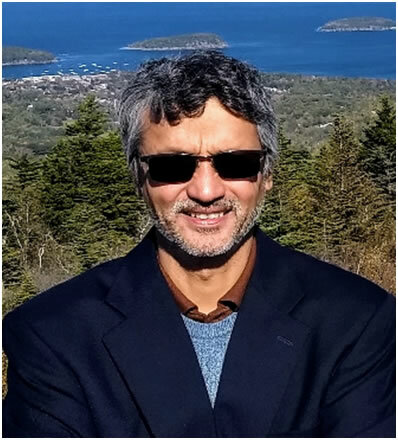 Dr. Lamsal also serves as an Associate Editors for journals Cereal Chemistry and the Journal of the Science of Food and Agriculture. 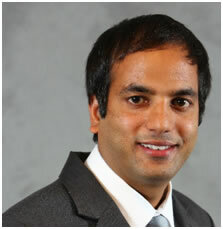 Dr. Ghimire works at the Department of Community Sustainability at Michigan State University. He holds a Ph.D. in Community, Agriculture, Recreation and Resource Studies from Michigan State University, USA (2016). 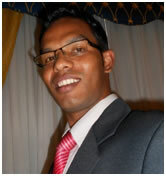 He has a master's degree in Agricultural and Rural Development from Western Sydney University. He holds an undergraduate degree in Veterinary Science and Animal Husbandry from Konkan Agricultural University, Maharashtra, India. He served as a senior veterinary/livestock officer in the Department of Livestock Services in Nepal for over 17 years during which he represented and coordinated a number of high-level teams and contributed in policy development, project designing, and program monitoring and evaluation. He was the focal person for rangeland policy development project 2010 that International Center for Integrated Mountain Development funded, and Department of Livestock Services led. He has experience and expertise on multidisciplinary research focusing at sustainable development, and competency modelling, among others. Starting 2017, he has been serving as the extension and training expert for horticultural value chain development project in Malawi. Dr. Ghimire has published a number of articles in peer-reviewed journals, authored book chapters and presented dozens of papers at scientific conferences. He has moderated professional seminars and served as the training facilitator. He has been serving serves as the reviewer for the Journal of International Agricultural and Extension Education, Journal of Communication Informatics, among others. He co-edited the NAPA First Biennial Conference 2018 proceedings. He is the editor-in-chief for the NAPA Research/Policy Brief. He is a member of the Nepal Veterinary Association, Association of Asian Studies, American Association for Adult and Continuing Education, North American Colleges and Teachers of Agriculture, American Evaluation Association, and Association for International Agricultural and Extension Education. Dr. Ghimire was born and raised in Lamjung, Nepal. 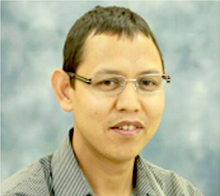 Dr. Aditya R. Khanal is an agricultural and applied economist. He is an assistant professor of agribusiness at Tennessee State University, Nashville since October 2015. He has a PhD in agricultural economics from Louisiana State University and has three Masters Degrees: MS in agricultural economics and MS in finance from Louisiana State University and a MA in Economics from Virginia Tech. Prior to coming to U.S. for higher studies, he received his B.S. in Agricultural Sciences from IAAS of Tribhuvan University, Nepal in 2006 and worked as a socio-economist in a non-government organization, Local Initiatives for Biodiversity, Research and Development (LI-BIRD), Nepal for 2 years. Dr. Khanal's area of expertise include agribusiness and entrepreneurship, finance, food security, alternative agricultural enterprises and impacts, production economics, and economic development in developed and developing countries. He has produced nearly 50 research publications in past 4-5 years and has generated research grants as principal investigator and co-investigator. His publication was named as 2017 outstanding journal article: highly commended from Emerald Publishing. He was named as "Outstanding Young Scholar of Agricultural Finance" from Agricultural and Applied Economics Association (AAEA), professional society of agricultural economists in 2018. He also received "2018 Outstanding Young Researcher Award" from the College of Agriculture at Tennessee State University. Dr. Khanal teaches agribusiness management, applied microeconomics, and agricultural finance. He is actively involved in professional societies, is an active member of Agricultural and Applied Economics Association (AAEA), Southern Agricultural Economics Association (SAEA) and serves as reviewer for dozens of scientific journals related to agriculture and applied economics. He is a member of Nepalese Agricultural Professionals of Americas (NAPA), and a life member of Nashville Nepalese Association (NNA). Dr. Khanal was born in Gulmi District of Nepal and raised in Gulmi and Rupandehi districts of Nepal. Dr. KC is a junior researcher at University of Hawai'i at Mānoa, holds Ph.D. in Molecular Biosciences and Bioengineering from University of Hawai'i at Mānoa (2017) and B.S. in Agricultural Sciences from Institute of Agriculture and Animal Sciences (IAAS), Tribhuvan University (2008). He is a recipient of German Academic Exchange Service (DAAD) Short-Term Research Fellowship (2015) and UK Energy Research Center Fellowship (2013). His areas of research interest include characterization and conversion of biomass (lignocellulosic and algal) into biofuel and bio-based products; anaerobic digestion; biorefinery (anaerobic digestion-based and insect-based); resource recovery from organic wastes; biochar application for waste treatment and soil amendment.